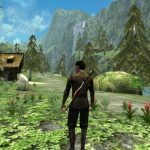 Aralon: Sword and Shadow is a 3D RPG from Crescent Moon Games, the same company that gave us the Ravensword series. The game was actually created by developer Galoobeth Games, with graphic design from The Elder Scrolls artist Mark Jones, the latter of which adds to its clout and credibility in the crowded role-playing game market. As per Crescent Moon tradition, the company is quite light on storyline details, simply saying that it allows you to journey through the Kingdom of Aralon, but it does talk in depth about the game’s features, which include four character classes, three races, customizable characters, a day/night cycle, different enemies with different fighting tactics, and hundreds of items you can pick up or weld. 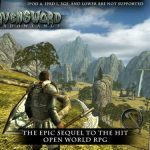 When we shared with you our Ravensword: Shadowlands strategy guide, we tried to deep-dive as much as possible, talking about general tips in great depth. This Aralon: Sword and Shadow strategy guide is shorter but simpler, but if you’re looking to learn the basics, this is the tips and tricks list you should be checking out. Before you start a new game in Aralon: Storm and Shadow, you should always check the settings and be sure you’re choosing the right options. Even seemingly insignificant details like screen orientation or music settings could mean a lot in the grand scheme of things. Adjust the settings to ensure you’re comfortable while playing the game. And as a bonus tip, when you’re actually playing Aralon, the game will automatically save when you make your way to a new building or area. Still, you have to manually save your game from time to time to avoid wasteful rework. This should probably go without saying, but when an opponent drops gold, weapons, or other items, you want to pick those items up. It doesn’t matter if your inventory is currently full, as you can swap a useless item with a newer, better one you pick up. The worst thing that can happen is leaving the weapons or equipment but taking the gold, which means you’re sure to score some loot when fallen enemies drop something. Additionally, you may want to leave unimportant items in treasure chests and return for them at a later time if you’re out of inventory. You’ll need potions to get you through in this game, to bring your health and energy back up to par and allow you to survive longer in battle. But since these potions cost a lot of money when purchased in shops, you should craft them instead if the option is available. 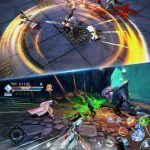 When it comes to your character’s skills, you’ll often encounter situations where one skill has two versions. The obvious option is to choose the more powerful version, but it may be better to choose the less powerful one instead, as it wouldn’t cost that much energy and can be used more often. 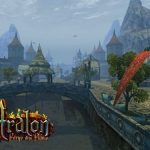 Want some additional tips and tricks for Aralon: Sword and Shadow? Then be sure to head over to our second strategy guide, which reveals some more hints that you can use in the game.